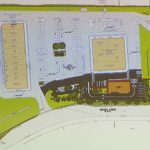 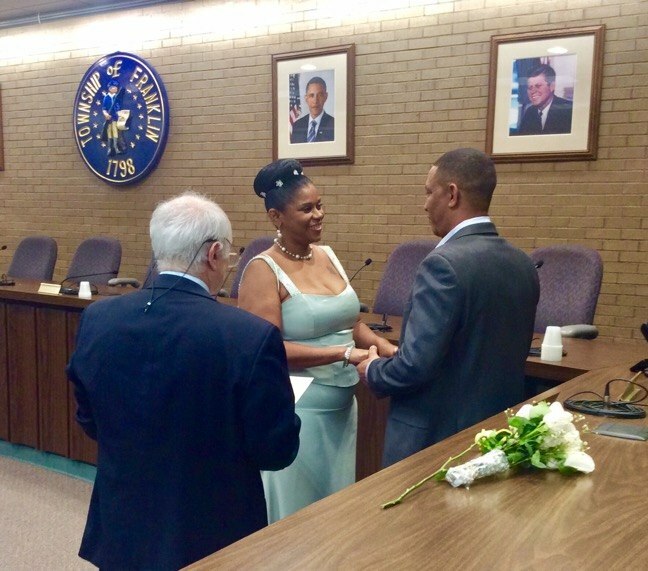 Added by Bill Bowman on February 15, 2019. 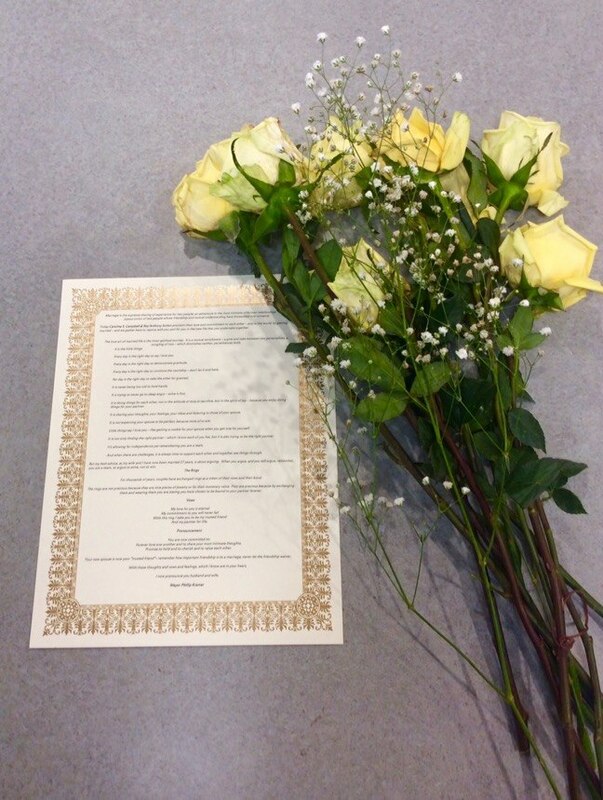 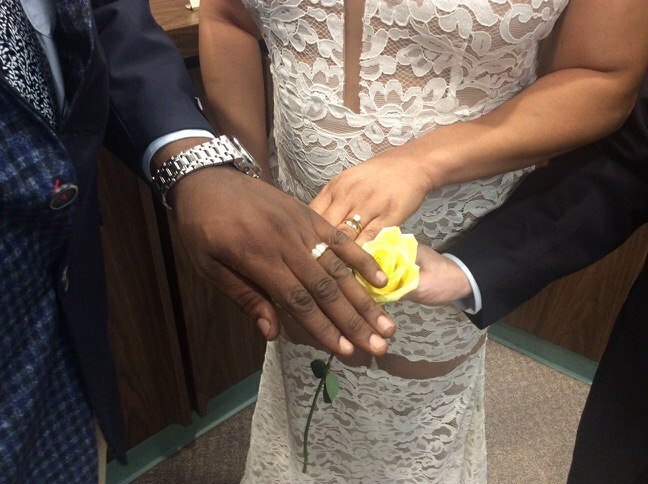 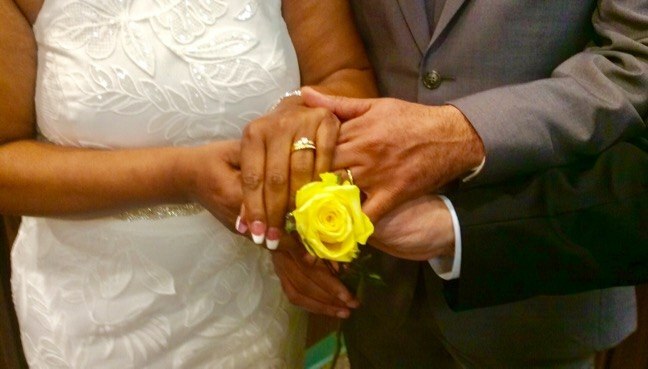 Each bride was given a yellow rose by Mayor Kramer. 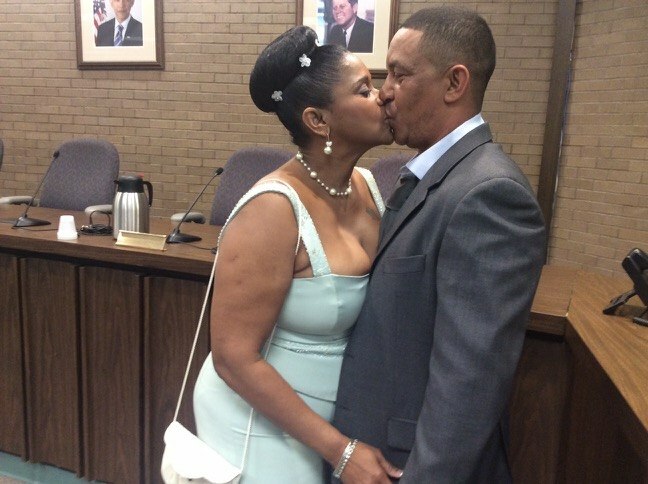 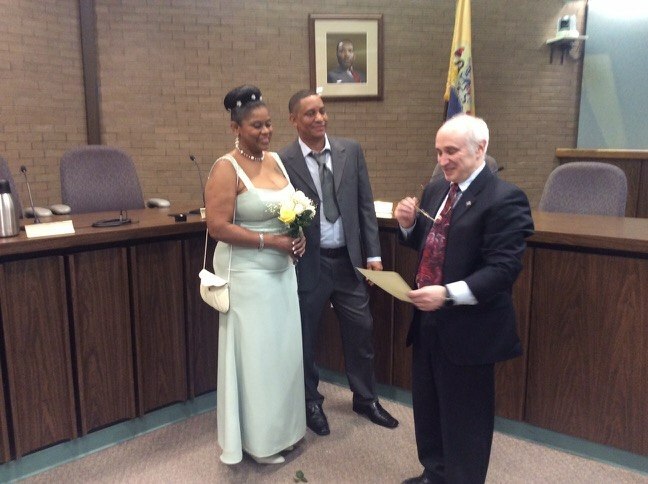 Mayor Phil Kramer is an expert of sorts when the subject is marriage. 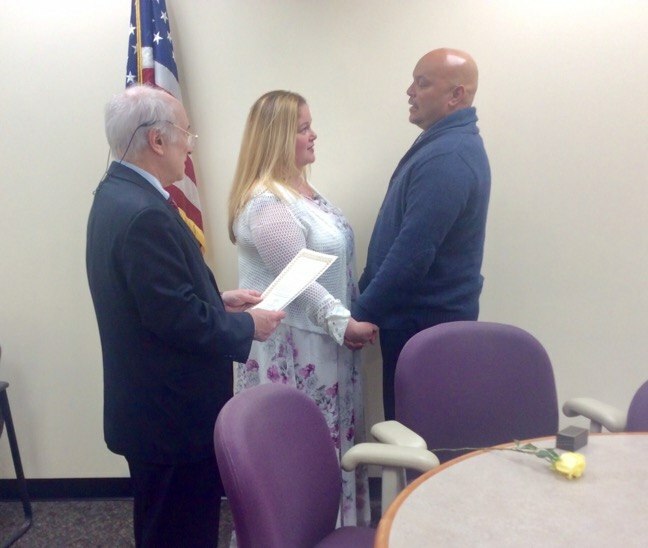 He and his wife, Laurie Conrad Kramer, have been happily married for 27 years. 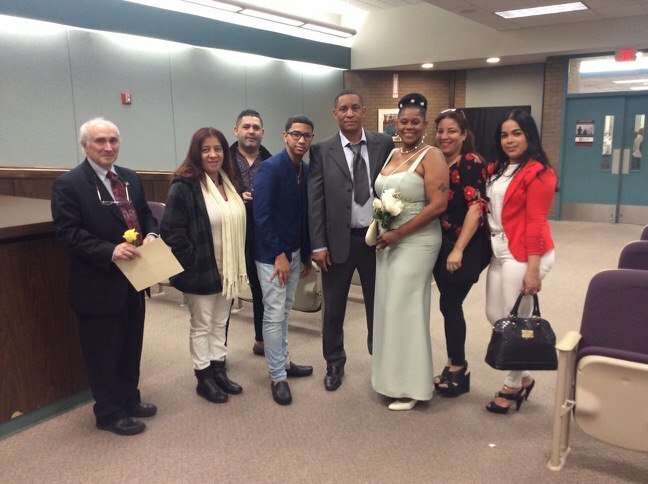 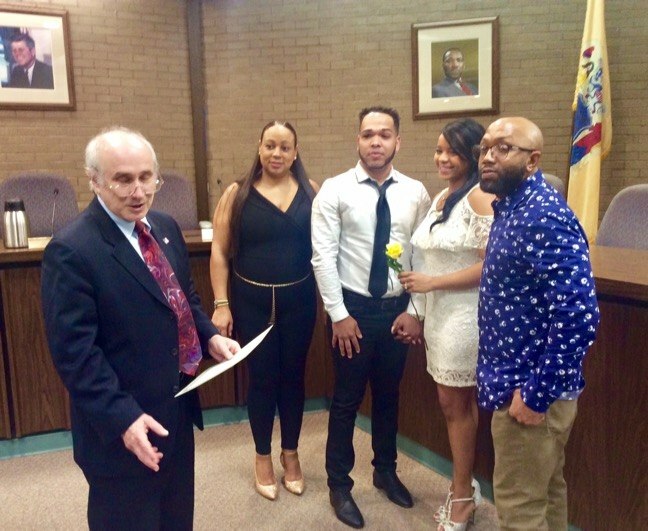 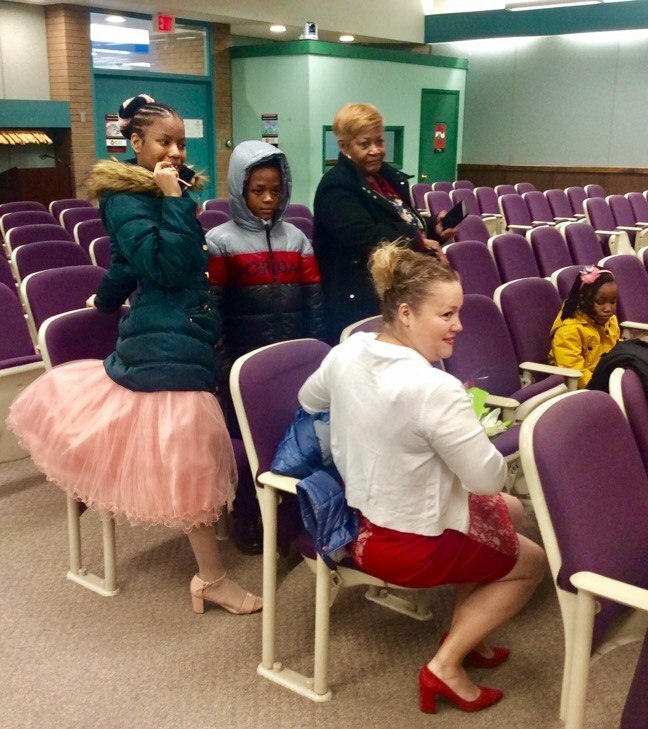 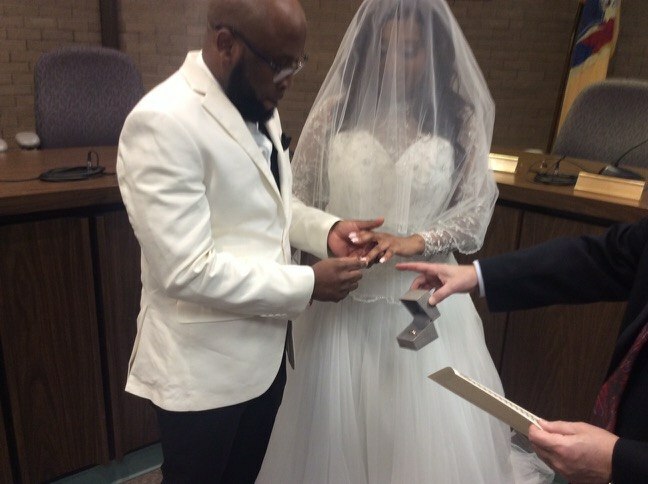 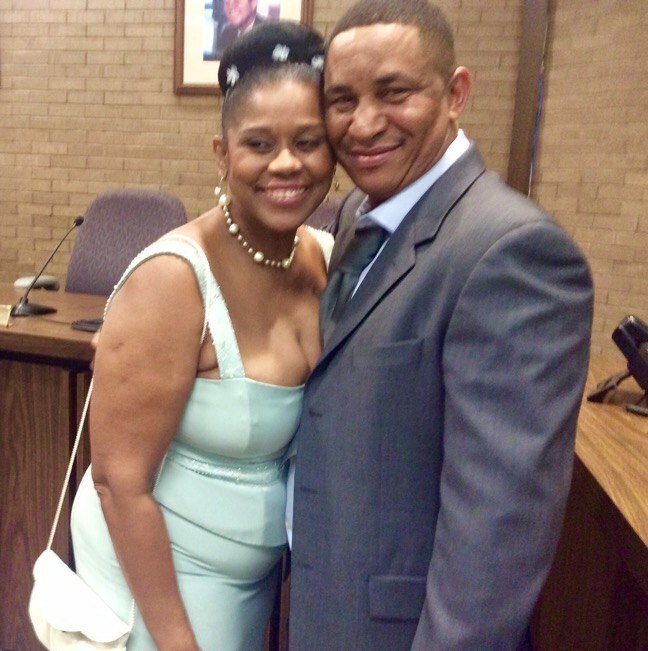 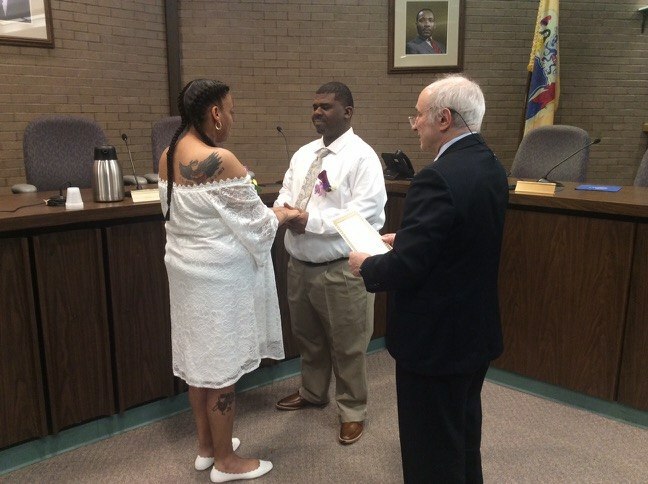 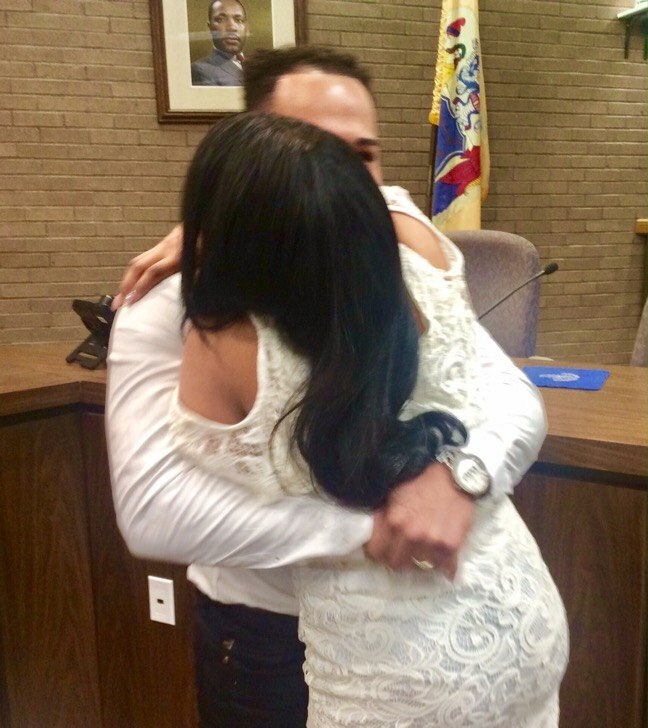 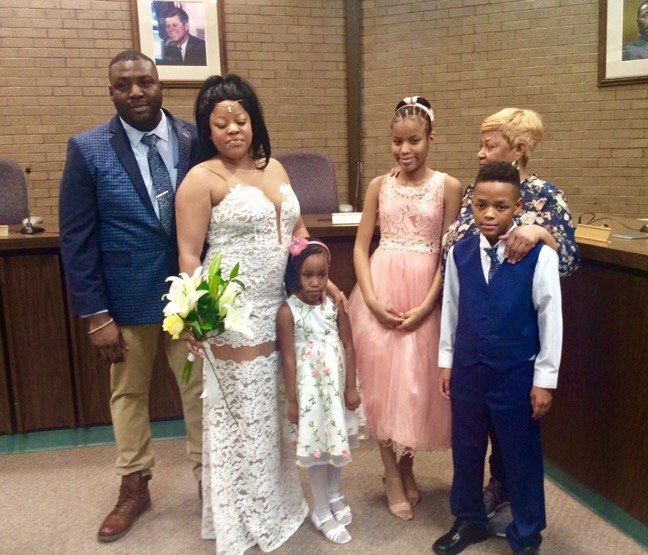 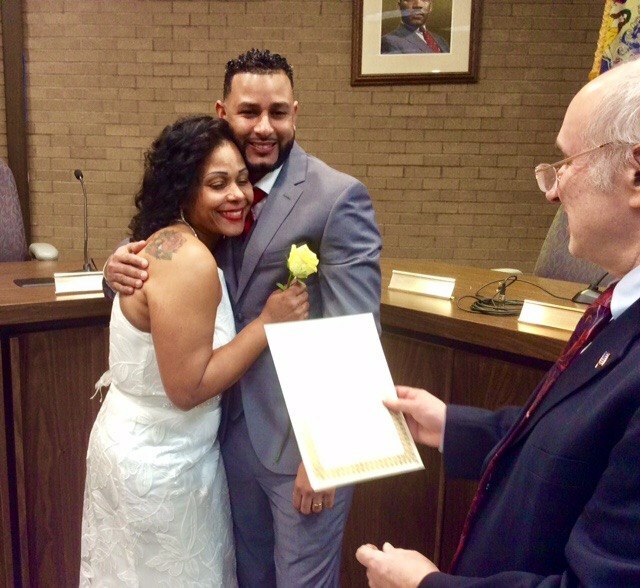 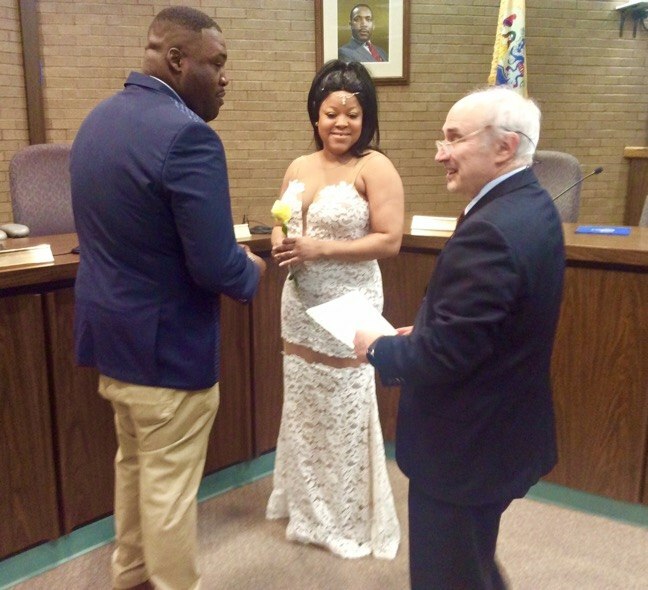 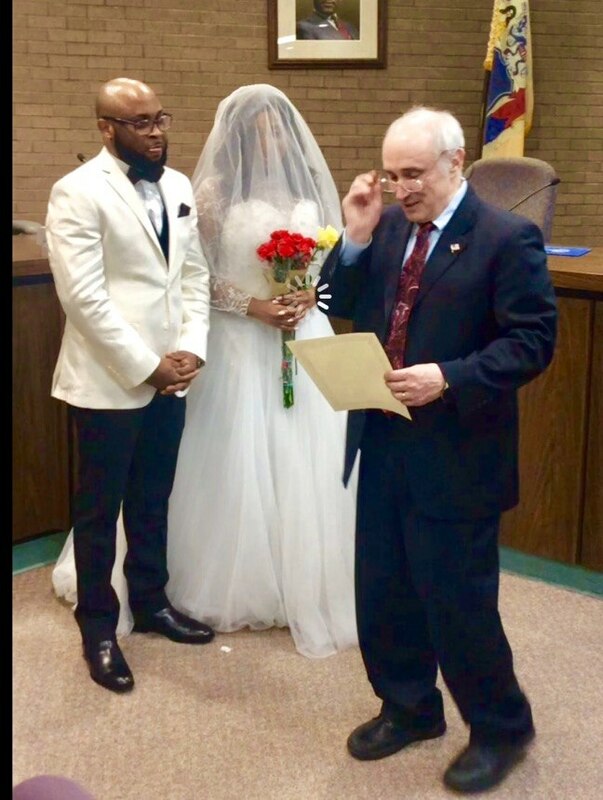 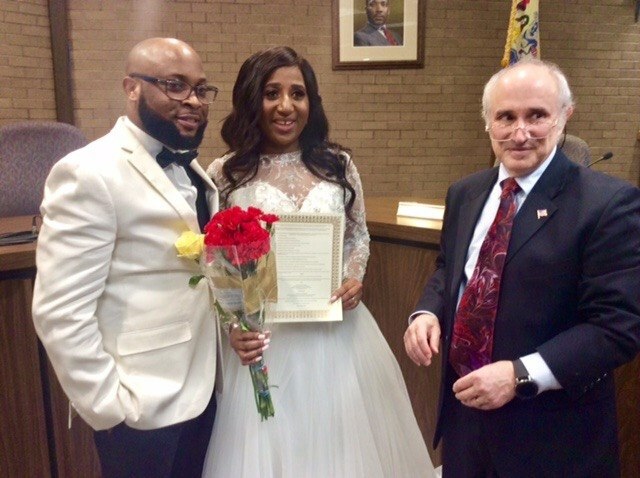 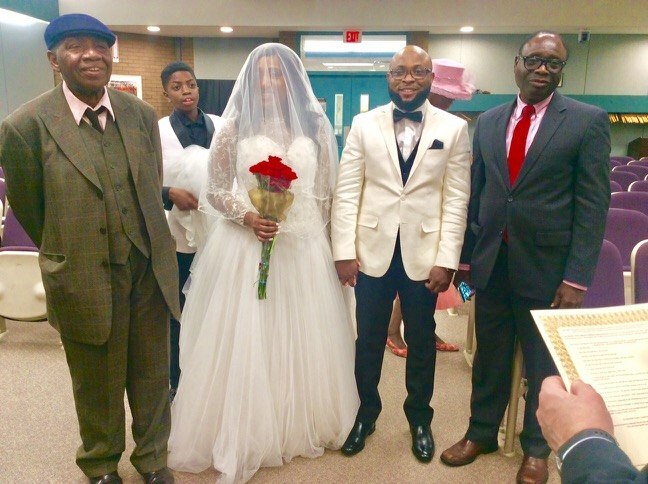 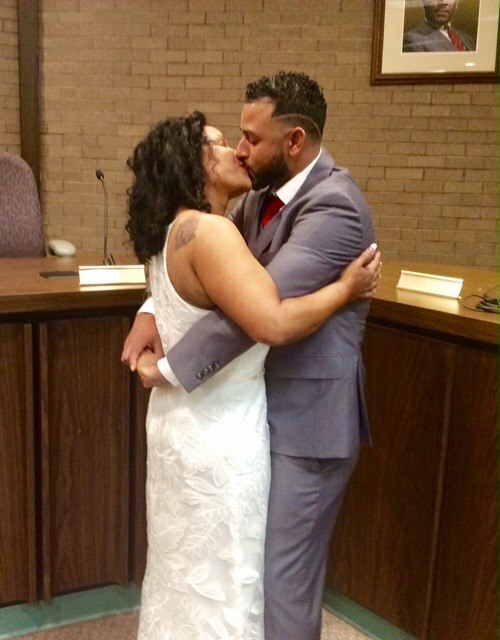 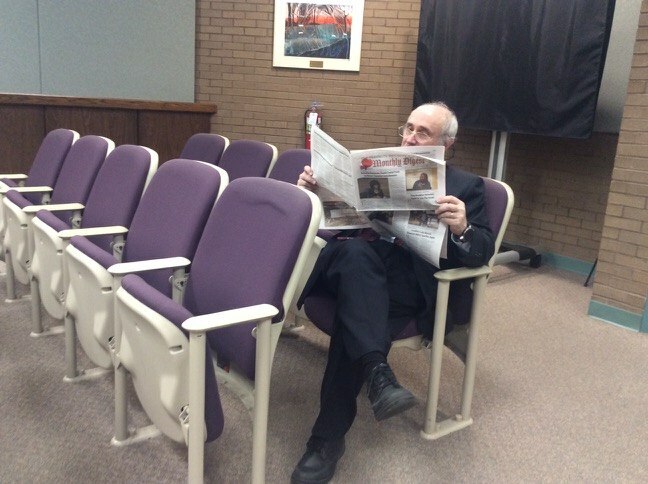 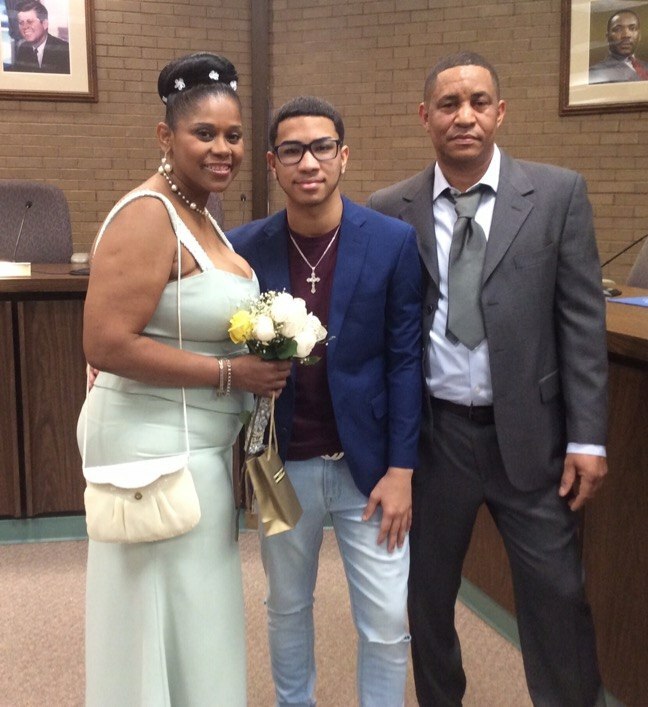 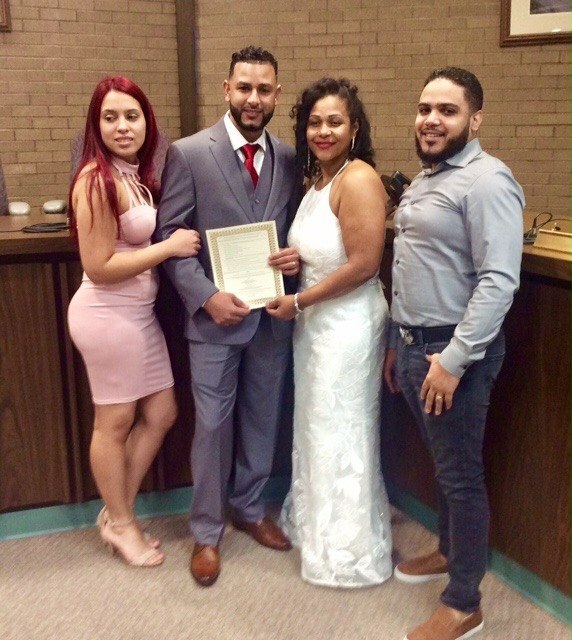 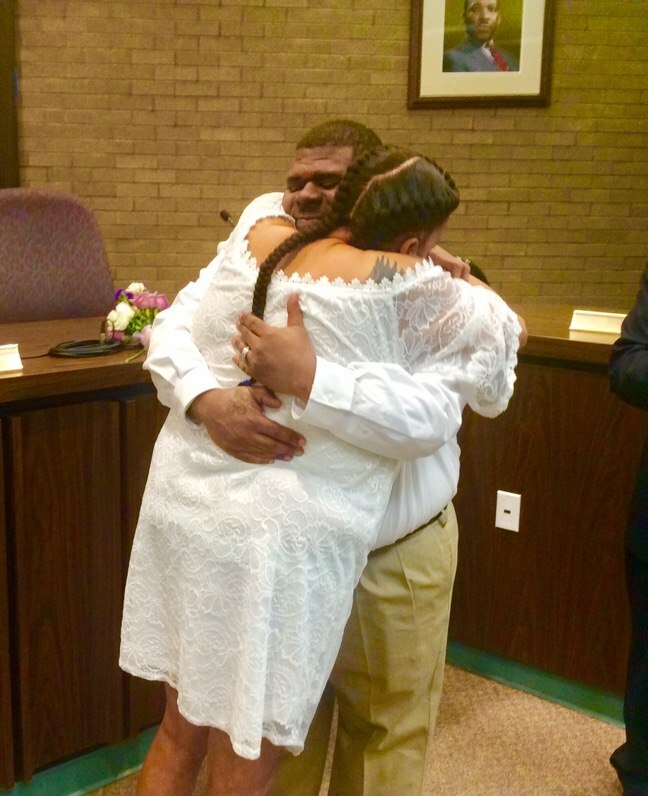 On Feb. 14, Valentine’s Day, Kramer got to share his observations with eight happy couples as he performed their wedding ceremonies in front of family and friends at the township municipal building on DeMott Lane. The ceremony speaks to couples about valuing each other as trusted friends as the bedrock principle of their marriages. 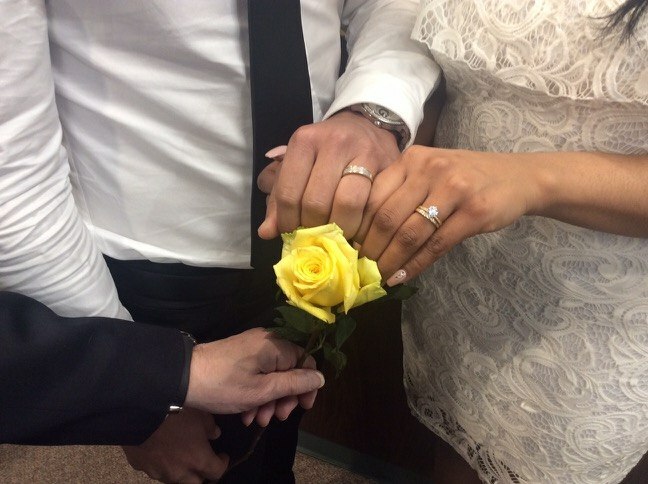 “It is not about finding the right person, but being the right person,” he said. 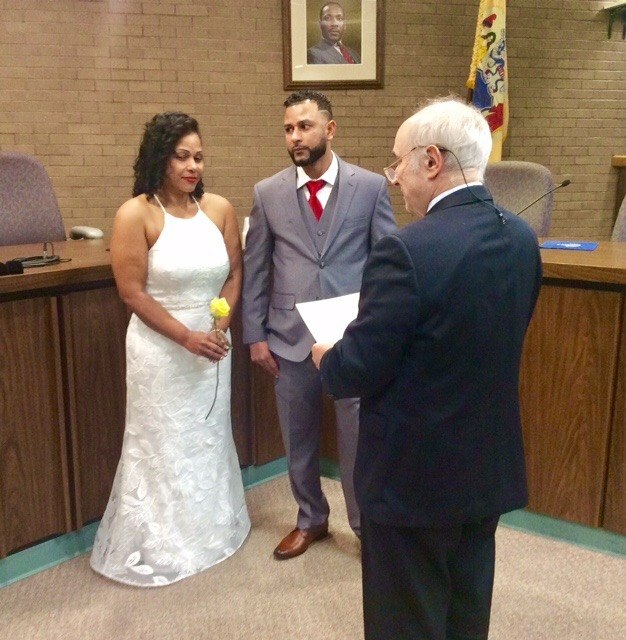 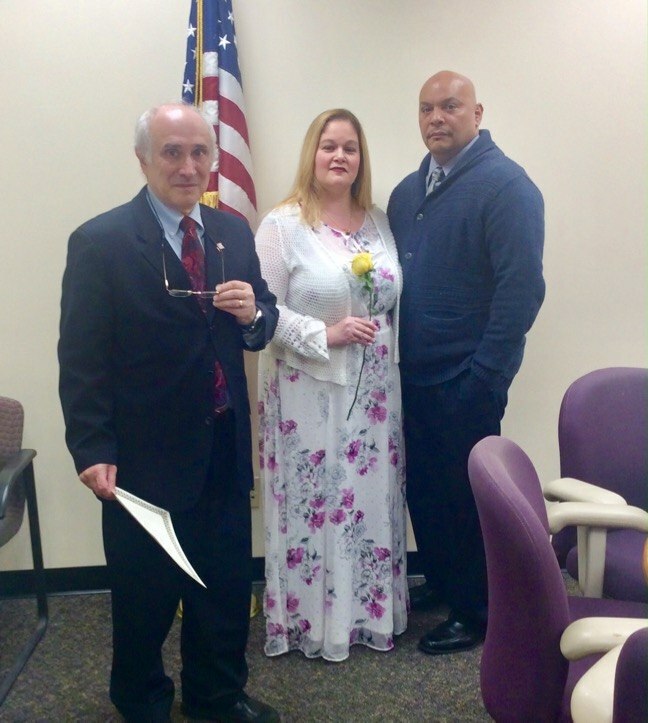 Mayor Kramer donates all fees donated for his services as wedding officiant to Second Chance for Animals, which funds the Franklin Township Animal Shelter in the municipal complex on DeMott Lane. 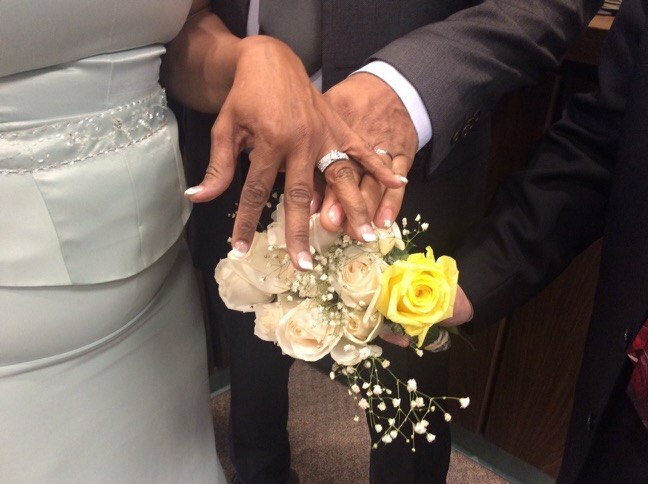 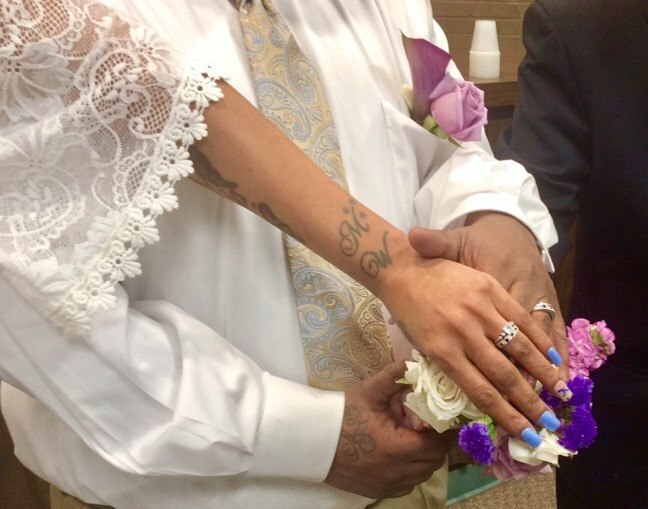 This year’s Valentine’s Day wedding ceremonies sent $400 to the shelter. 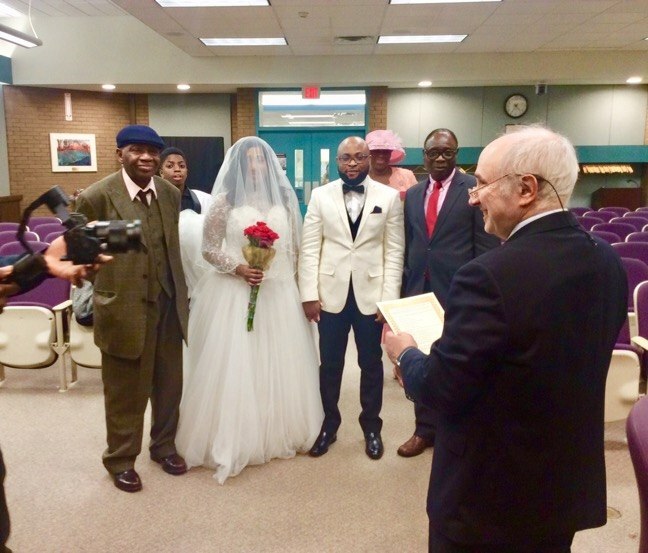 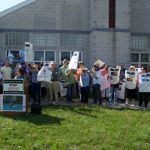 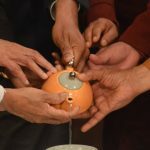 “I know since I began doing these ceremonies, which number over 300 so far, that my marriage and my thoughts about marriage have deepened,” Kramer said.